On July 1, 2013, Nigerian university lecturers, under the aegis of Academic Staff Union of Universities (ASUU), began a nationwide indefinite strike. The decision of ASUU to embark on the industrial action, according to its President, Dr. Nasir Isa Fagge, was taken due to the failure of the Federal Government (FG) to implement a 2009 agreement and 2012 Memorandum of Understanding (MoU) it entered with the union. 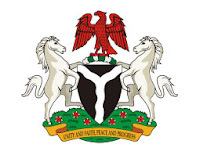 The suspension of its earlier strike of December 4, 2011 in January 2012, declared to pressurise FG to fulfil its promise, gave rise to the MoU which equally captured the various issues contained in the 2009 agreement. Key areas of the agreement as identified by ASUU then are as follows: funding requirements for revitalisation of the Nigerian universities; Federal Government’s assistance to State Universities; Establishment of NUPEMCO (Nigerian University Pension Management Commission); progressive increase in annual budgetary allocation to education to 26% between 2009 and 2020 and earned allowances. Others are: amendment of the pension/retirement age of academics on the professorial cadre from 65 to 70 years; reinstatement of prematurely dissolved governing councils; transfer of Federal Government landed property to universities and setting up of Research Development Council and provision of research equipment to laboratories and classrooms in the universities. Out of all the above items in the said treaty signed by FG and ASUU, government had made essential laws on the 70 years retirement age of lecturers as well as the creation of NUPEMCO. Among the remaining issues, the funding requirements for the revitalisation of Nigerian universities and the payment of Earned Allowances appeared to have caused more brouhaha. The 2009 pact reportedly provides that all federal universities would need the sum of N1.5 trillion to be spread over three years (2009-2011) for the regeneration of the institutions. However, this figure was said to have been reduced to N1.3 trillion and the gesture extended to state universities through the 2012 MoU. The N1.3 trillion, according to the MoU, was expected to be released over a period of four years – N100b in 2012 and an annual sum of N400b in the following three years. So far, the FG is said to have released the sum of N130b. From this released amount, N30b is for the payment of earned allowances to lecturers, which is supposed to be N92b and N100b is for the revitalisation of the universities, as against the N500b which it ought to have released based on the MoU. According to the FG, the government has no money to meet the entire demands of ASUU, as doing so may lead to a total shutdown of governance in the country. But ASUU is of the view that the Federal Government was just being deceitful and dishonourable, and as such, it insisted their members would not go back to work until their demands were fully met. The union through Fagge said the FG had shown great generosity to private concerns like the airlines and financial institutions with trillions of naira from public treasuries as ‘bailouts’. Fagge also recalled the government’s largesse extended to Nollywood, which he said was still very fresh in their memories. The ASUU boss, therefore, wondered why the same FG will now say it has no money to fund the revitalisation of public universities, knowing full well that education is the bedrock of any development, of which university education plays a key role. However, many Nigerians and groups in the country have continued to appeal to ASUU to call off the over two months old strike. One of such pleas came from the Vice-Chairman, Senate Committee on Niger Delta Affairs, Senator Nurudeen Abatemi-Usman. The Senator, who is the youngest lawmaker in the Red Chamber, said it was important for ASUU members to reconsider their position and return to the classrooms, in the interest of the students who are directly bearing the brunt of the industrial action. While noting that the demands of ASUU are legitimate, reasonable and absolutely in order, as they are geared towards ensuring proper funding of public universities in the country, Abatemi-Usman said the lecturers should consider the plight of the students. As against the argument of some, who are blaming ASUU for going on strike, there is virtually no country in the world where its university system has no history of strike. Recently, universities in Venezuela, Ghana, Kenya, Cameroun, Sri Lanka and South Africa went on strike at different times to push for either pay rise, payment of certain allowances or increased funding for higher education. In 2011, members of the University and College Union (UCU), England, embarked on an industrial action over changes to their pension scheme. So, ASUU’s strike action aimed at pressurising government to improve the quality of education with adequate funding cannot be said to be out of place. Be that as it may, members of the union should listen to voices of concerned Nigerians who are calling on them to call off the strike for the sake of the students. The lecturers and administrative staff of Walter Sisulu University in the Eastern Cape Province of South Africa resumed work on Monday, September 9, 2013, after six weeks of strike. The university workers said they took the students’ predicament into consideration to end the industrial action, as they were only offered 5% salary increase against their demand of 10%. ASUU should please reason in this same direction and have mercy on the students of public universities in the country.